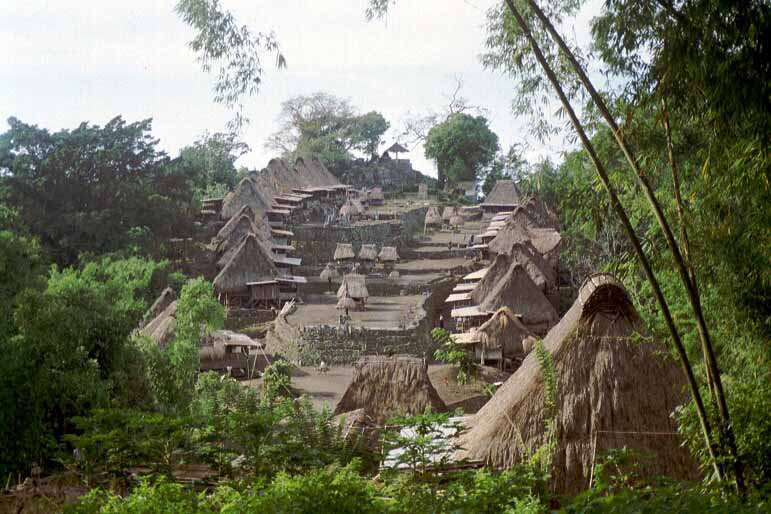 Flores Island is a Green Jewel in the Indonesia Archipelago and still beyond the well-trodden touristic paths. 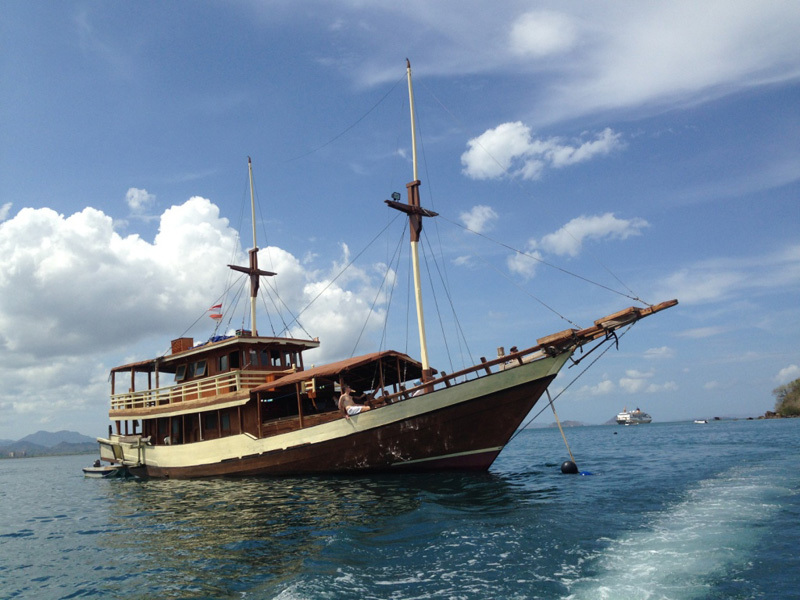 The Island impresses with authenticity, scenic beauty and friendly people. Flores has natural wonders such as the mystical volcano Kelimutu, impenetrable jungle, beautiful rice fields, unspoiled sandy beaches as well as traditional villages with a fascinating culture and architecture. 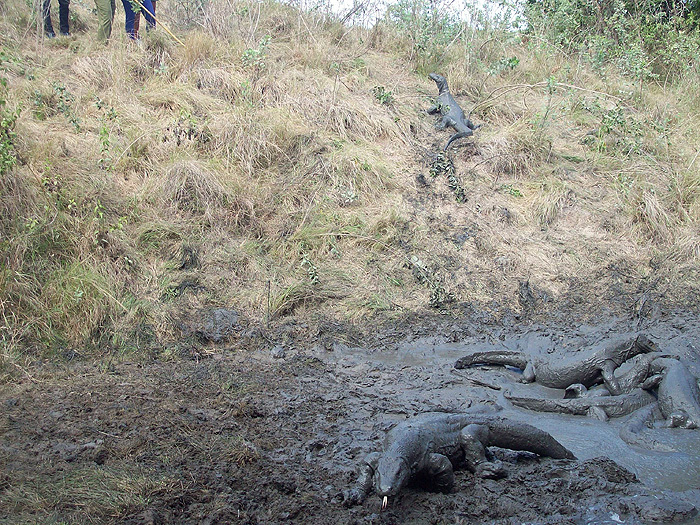 In the West, Flores is neighbouring with the Dragon Islands Rinca and Komodo, were the prehistoric Komodo, the largest lizard in the world are found. Although Flores is overwhelmingly Catholic, the daily life is still very much effected by magic, spirits and ancestor worship. 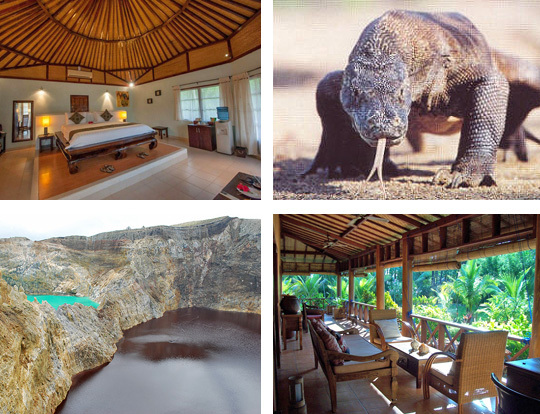 On our website you will find some examples of guided Flores & Komodo Tours with experienced English or German or French speaking Guides. All tours are private and tailored to your individual interests, schedules and wishes. 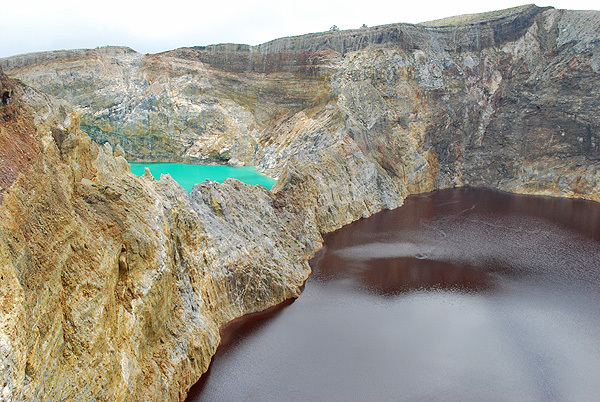 Flores island is part of the volcanic belt which stretches from Sumatra through Java and Bali to the Banda Sea and more than 17 volcanoes are situated on the island. 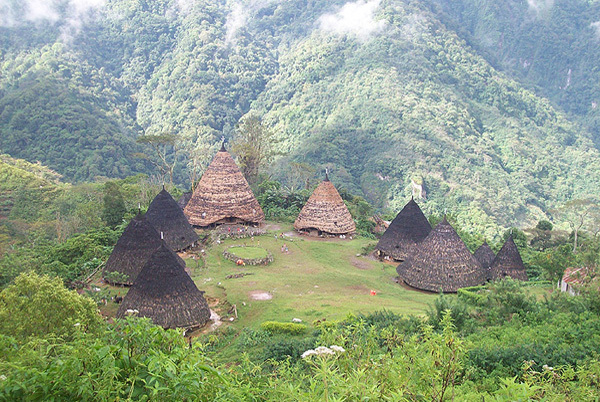 The mountainous regions in central Flores around Ruteng, Bajawa and Moni have moderate to cool climate. 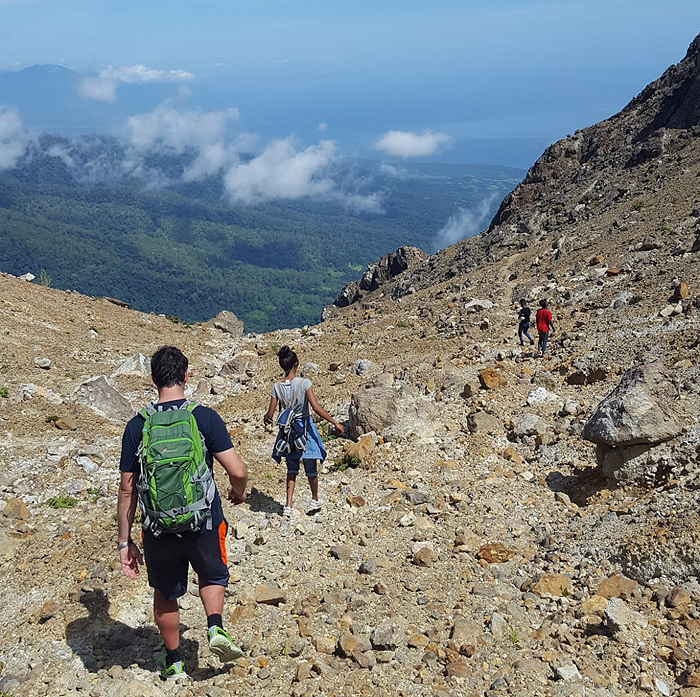 Forests and jungle with rich tropical flora and fauna, small, charming remote villages, waterfalls and hot springs make Flores to a paradise for active holidays with hiking and trekking. 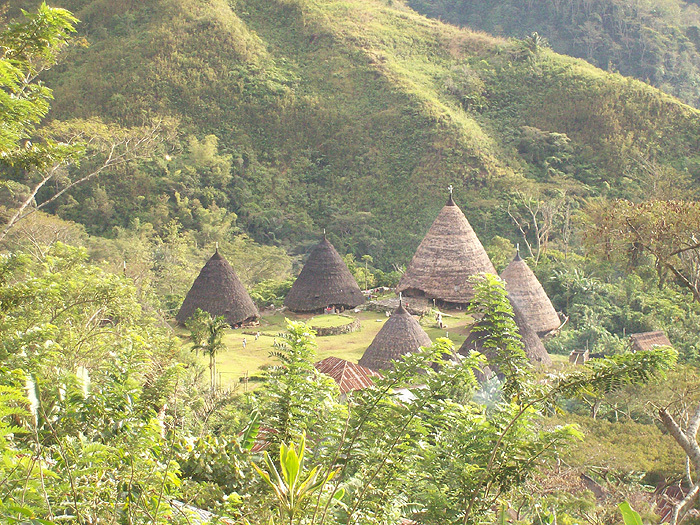 We created this 8 Days/7Nights Tour including many of the natural and cultural treasures which can be found all over Flores. 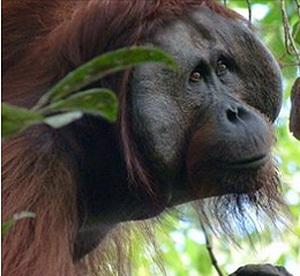 Tanjung Putting National Park in Central Kalimantan (Indonesia Borneo) is one of the few remaining places on earth where Orangutans can be seen in the wild. Beside of Orangutans eight other primate species and rich bird life can be observed here. 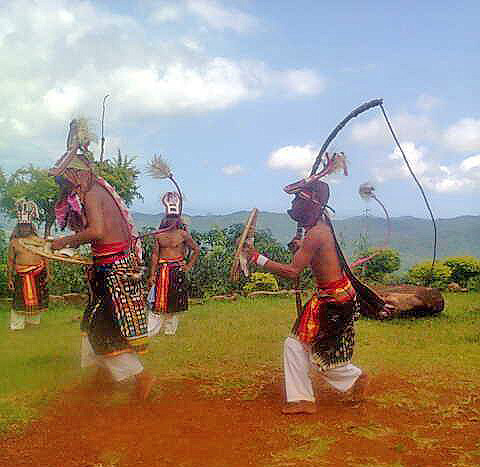 Nature-, Safari & Culture Tour on Java, Kalimantan, Komodo and Flores Island in Indonesia. In case you have problem to book the Indonesian flights from overseas. We can assist you! 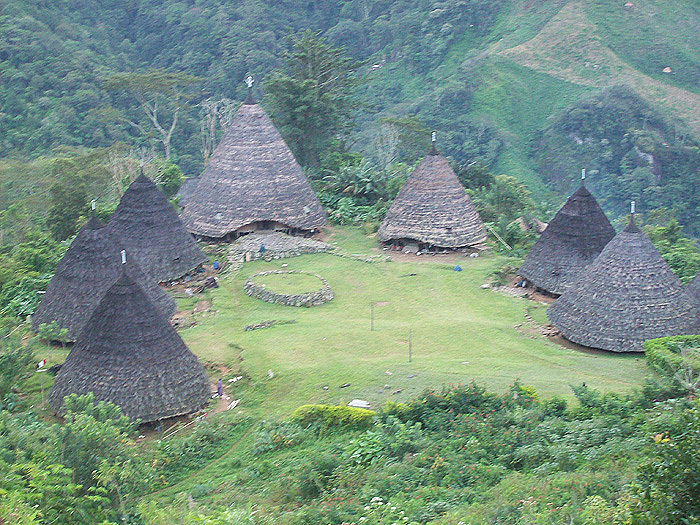 During this detailed round trip from East to West Flores including all 3 national parks (Mount Kelimutu, 17Inseln in Riung and Komodo) as well as Trekking Wae Rebo you will have an intense encounter with all facets of culture, nature, scenery and friendly people of this still very original pearl in the Indonesian archipelago. 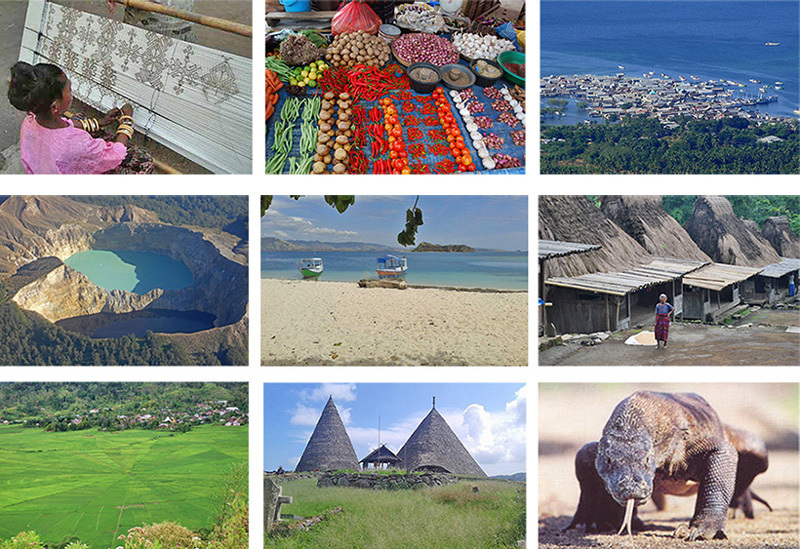 Java island is densely populated and yet alluring beautiful. The Sultanate of Yogyakarta in Central Java is along with Surakarta (Solo) the historical and cultural center of Javanese culture. Explore the Kraton and water castle of the Sultan Palace and visit traditional markets and factories during a Yogyakarta city tour. 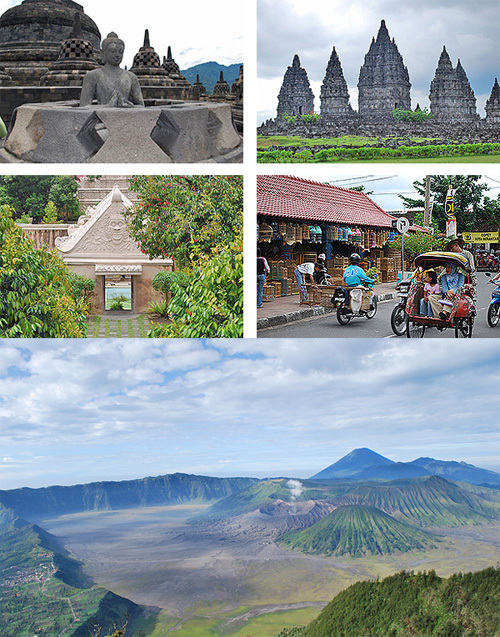 The highlight is a full day visit to the monumental Buddhist temple Borobudur and Prambanan Hindu temple complex. 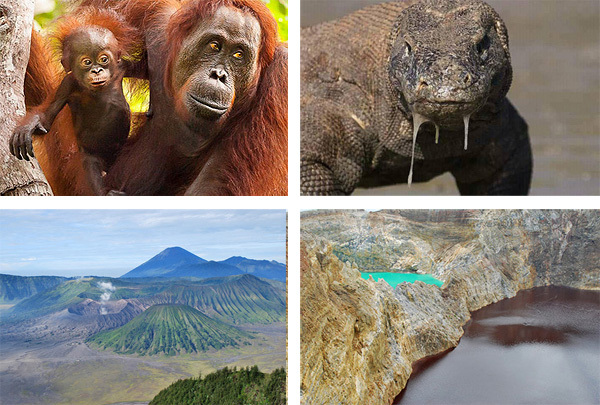 The volcano Bromo is 2329 m high and is a part of the Tengger volcanic massifs in East Java. It is one of the most active volcanoes on Java and one of Indonesias most scenic location destination, famous for its magnificent sunrise views and the panorama over the caldera. We are on Flores to assist you. 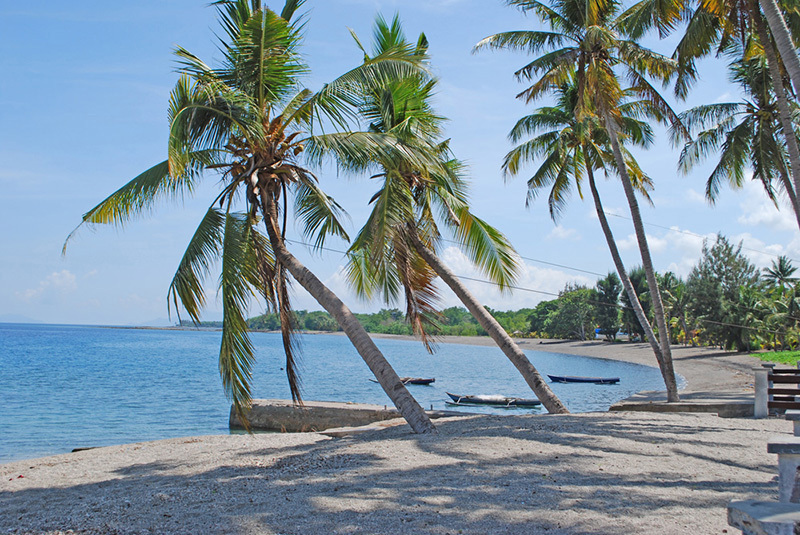 Benefit from our many years of experience on Flores Island.